I received the mentioned products from Paulk’s Pride in exchange for an honest review. The thoughts contained within this post are mine and may vary from the thoughts of others. Generations of the Paulk family farmed traditional row crops (cotton, peanuts, soybeans, etc.) until 1970, when Papa Jacob planted the first muscadine vine. Thirty years later, Paulk Vineyards was featured on the Food Network show, Food Finds. 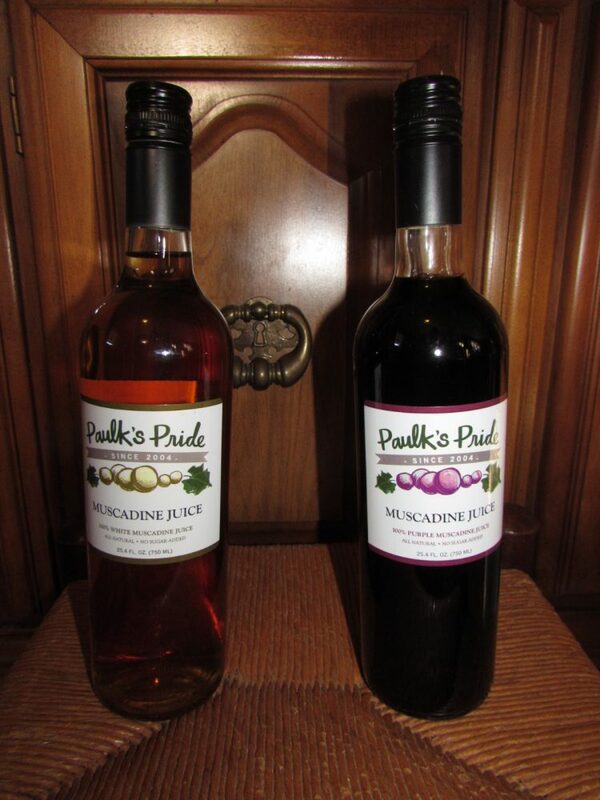 The Paulk family had established a legacy in the muscadine industry, growing from that first vine to over 600 acres of muscadines and scuppernongs harvested for fresh produce sales. I will be honest and say that never in my almost 32 years of life had I tried muscadine juice but this Thanksgiving it made a debut at our table. I quickly found out that no one here at our home had tried it either including my 86 year old Grandmother or nearly 60 year old parents. I didn’t feel so bad then. My Dad was the most interested as he loves traditional grape juice and wanted to dive in. His choice was the purple, which is so delicious! I can’t even begin to describe the flavor, but I love the sweetness and so did he. Not knowing what to expect at all, this was such a pleasant surprise. I also love that there is no sugar added, so these flavors are coming directly from the fruit itself. As with the purple, the white also has this pure taste. Again there is no way to describe it other than clean. It is like drinking the freshest juice ever, like you made it in your own kitchen but yet this was shipped right to our doorstep. 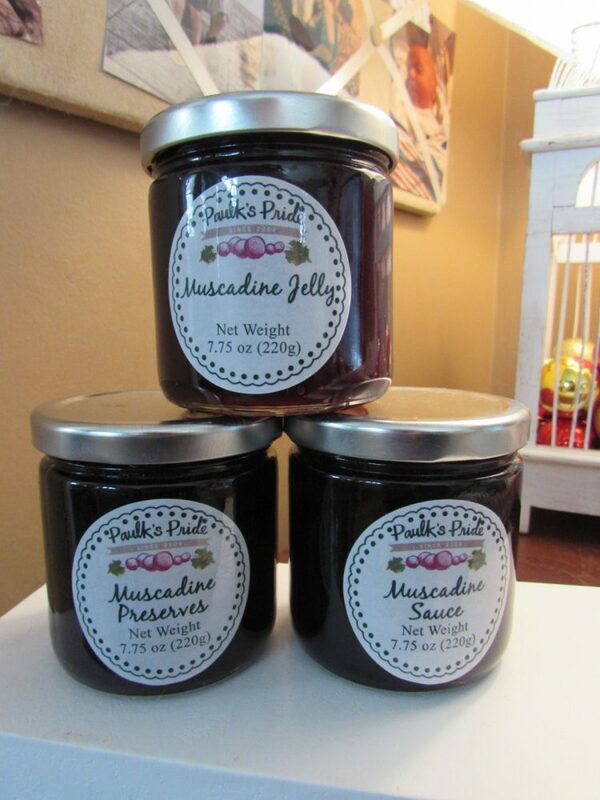 We also received these beautiful jar products from Paulk’s Pride. They have made cooking and snacking so much fun here. I love making some thick toast and adding some of the delicious preserves to them. A great warming breakfast. The jelly is a great addition to oatmeal. I wish I had actually read more about the Muscadine Sauce before Thanksgiving because I have since read that it is great with turkey. I will have to make a small breast soon and give it a shot! Paulk’s Pride has blown our minds with their amazing products featuring the freshest all natural ingredients. 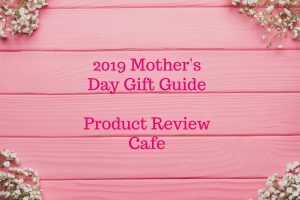 A great giftable product this holiday season!